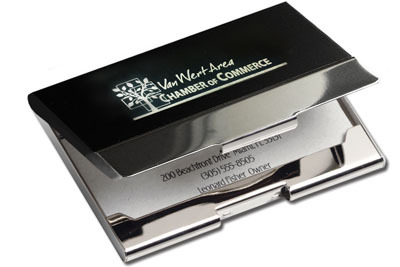 Metal business card holder case, shiny and black. Metal business card holder case, shiny and black. This cardholder or card case has 2 printing areas, top 2 3/4" x 1 1/2" and bottom 2 3/4" x 5/8"
Carton Size: 13" x 12" x 11"